Maybe give them a like too. Same problem here, I can't open any tif files ever since the last update. Not even the files created by AP for Ipad itself. Tried to do a stack of two tif files created from raws on the IPad just now. It shows them fine in the file selection dialog but as soon as I stack they are invisible. The document shows as 0*0 pixels. A search bar at the top of the adjustment and effects tab that gives quick access to an adjustments without scrolling. Hallo, gerade zufällig deinen Post gesehen. Der ist hier in der Kategorie leider falsch glaub ich. Den müsstest du verschieben in den Teil des Forums für Affinity Photo Ipad Bugs. Und auf Englisch schreiben welches hier der gemeinsame Sprach Nenner ist. I've not yet able to make the colours of the wheel disappear but I've managed to get them corrupted. Something isn't working quite right here. I'm checking a few more things and will log this to be looked at. Thanks for lettings us know. 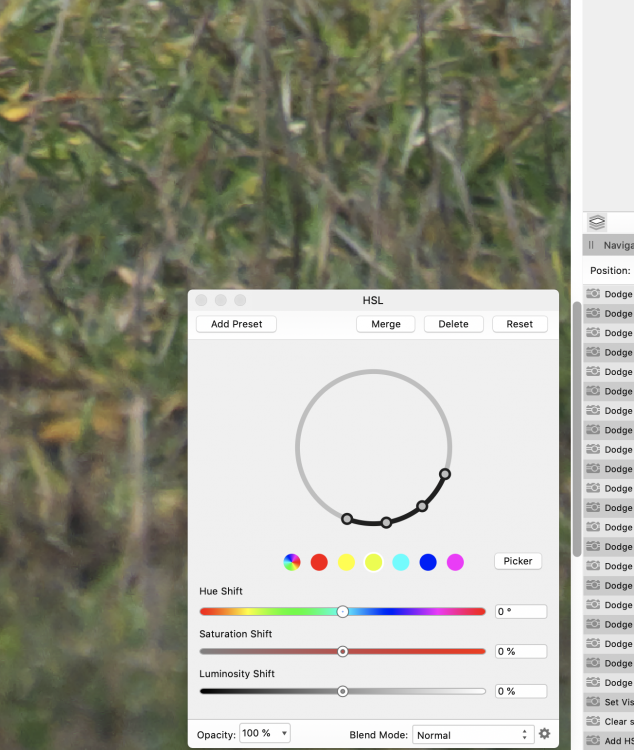 Often when I use the HSL Tool the colors on the color wheel disappear. I use Affinity Photo in Full Screen on an Imac 5K 27" from late 2015. The colors reappear if I switch to a different App/Screen and than back to Affinity Photo. The Tool still works but you cant see your range. I reported this before in a reply but now I got around to take a screenshot of the behavior. An option to make the Histogram visible/floating while doing any of the other adjustments. 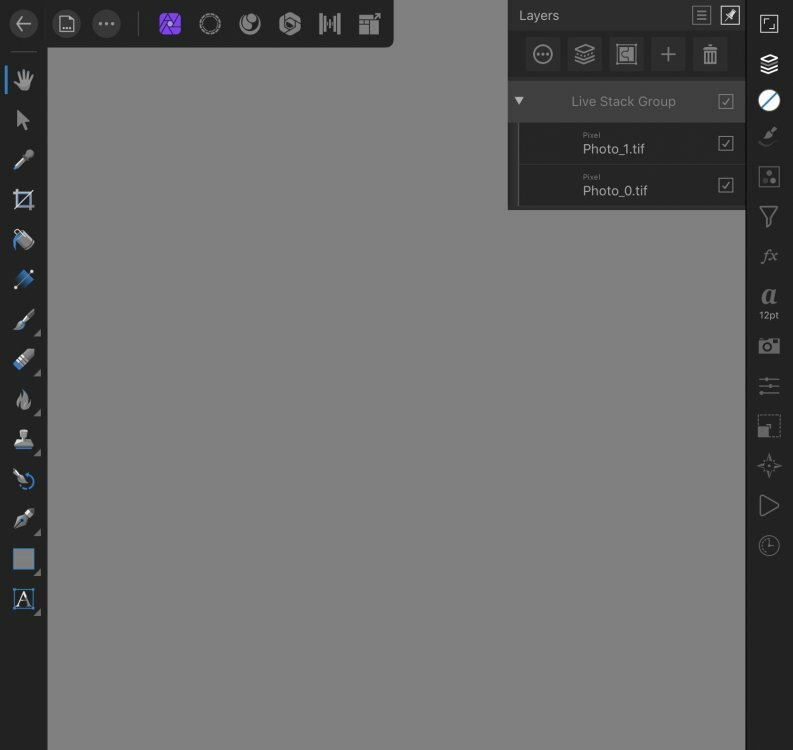 This would be useful for example when adjusting the levels or brightness tool and keeping it open while switching layers etc. Cant open uncompressed Fujifilm X-H1 Raf on Ipad Pro 11"
Before the restart after first writing this thread I tried to imported the raw photo from an SD card directly into the Apple photos app on the iPad too. The import itself worked but after it was finished it would show up square and very low res in the library and would not be editable. Definitely looks like an IOS Bug. A restart of the IPad solved the problem, the file opens fine now. I've just downloaded a sample RAW from the Fujifilm X-H1 and I get the same results as you. 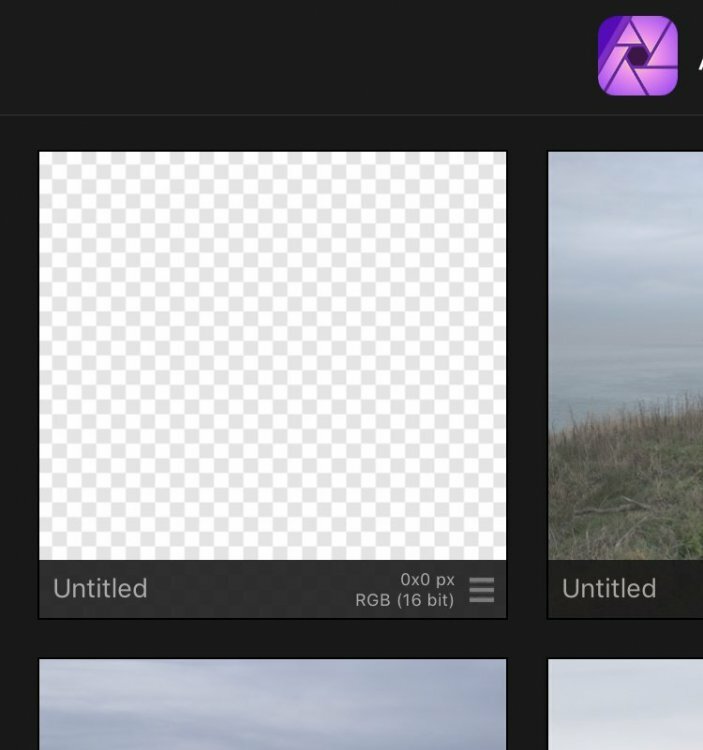 Affinity Photo for iPad uses the Apple RAW engine built into iOS so it may be that Apple has to improve the support in iOS for that model before Photo will open it. 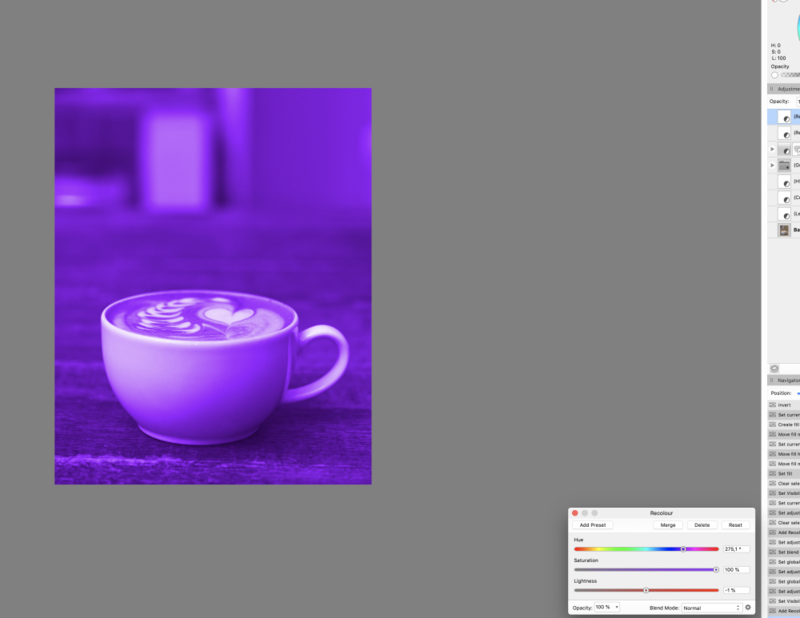 Preview on macOS may be opening an embedded JPEG preview. 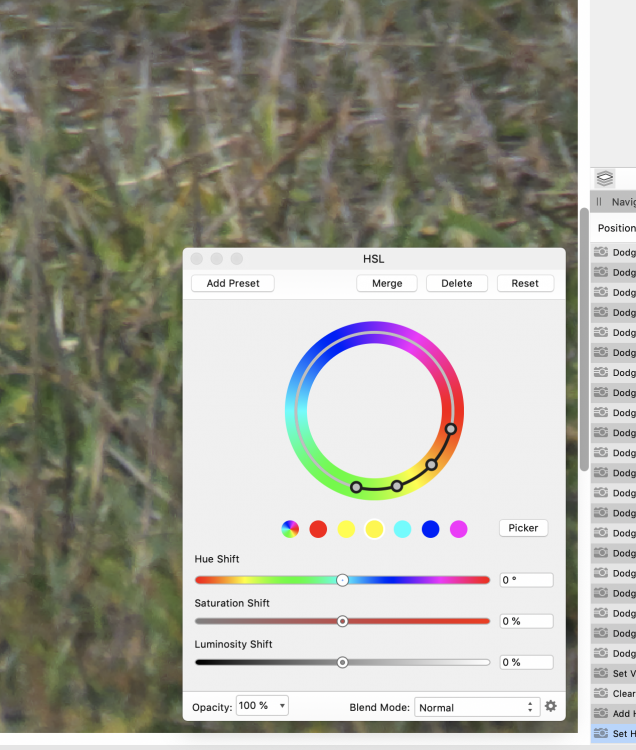 In the meantime you could use Adobes DNG converter to convert to a more generic DNG file. Yes but in the official list of supported cameras for IOS 12 ( https://support.apple.com/de-de/HT208967 ) it says that Fujifilm X-H1 uncompressed raf should be supported. Although I switched my X-H1 one to uncompressed raw I cant open the files in affinity photo on the ipad (ios 12.1, 11" Ipad pro). They show just fine in Preview on the Mac wich the compressed files didnt. 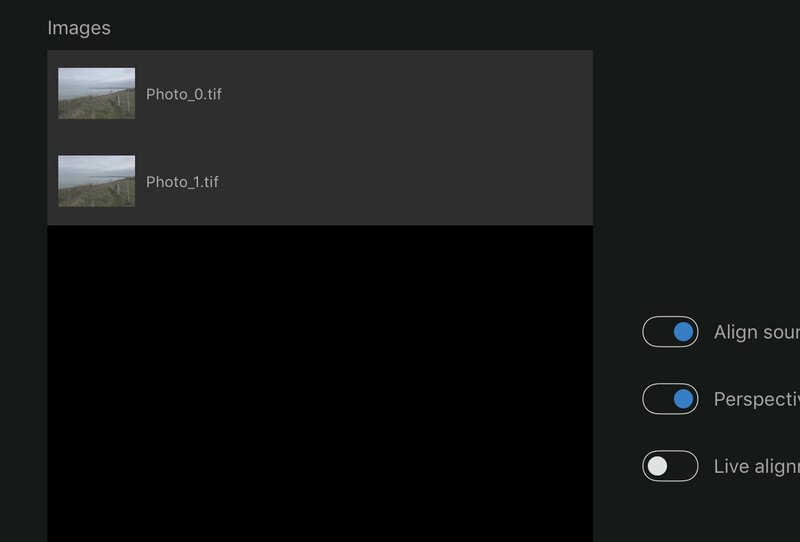 When I import a file from Icloud into Affinity Photo on the Ipad I get a black screen and It says no camera Data at the top. Do you have any Idea what the problem could be?